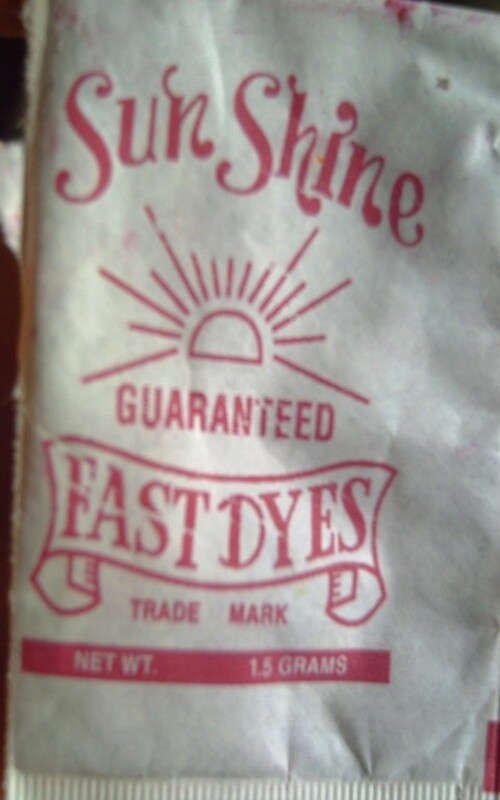 I've been a fan of dyed T-shirts with personalized designs, including the attractive sun design of different colors. It's been associated with Jamaicans or people in Carribean because I often see them wearing such shirts. I think, sun-tees (as you may call it) is synonymous of being a reggae fan or its people itself. Little did I knew that one day, I'll be helping my niece make a design regarding the subject: How to Make Sun on a dyed T-shirt. 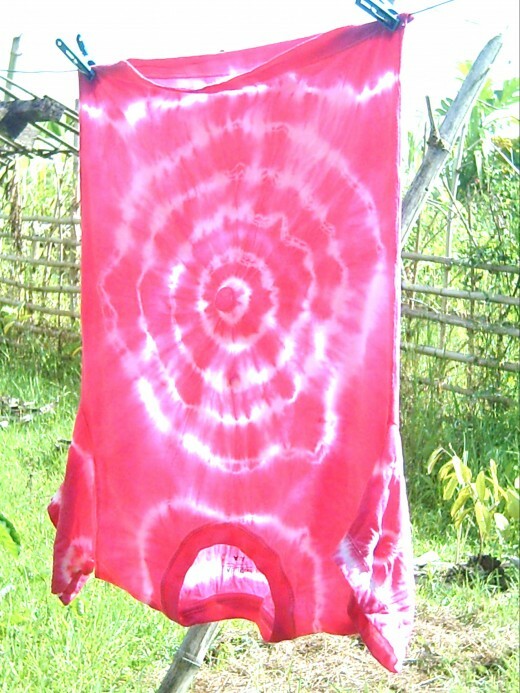 My niece's project on Practical Arts subject is to make a sun design on dyed t-shirt. 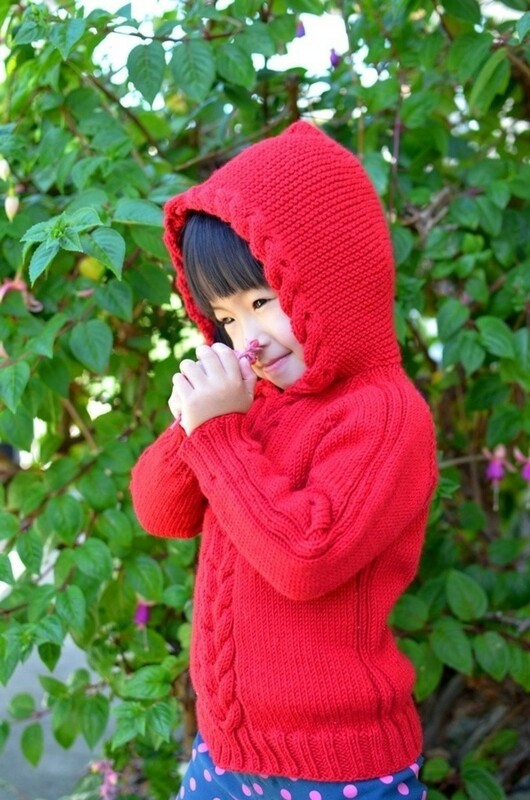 She said that her teacher instructed them on how to make one. 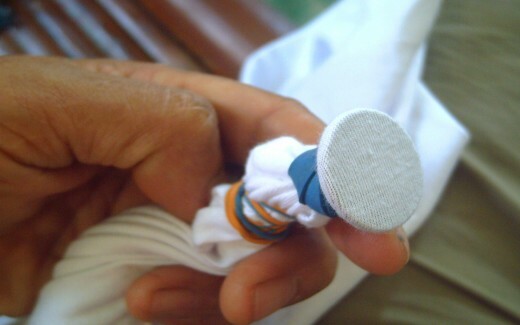 Put a big coin inside the front center of the shirt, Tie it rubber band. It will serve as the sun. For the penumbra or rays, tie rubber band in increasing length. 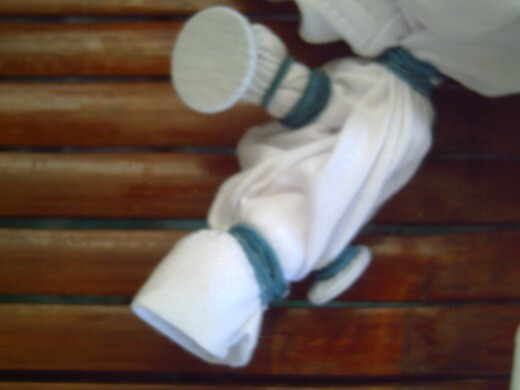 For a swirling effect, twist first the part of the shirt before tying the rubber band. Boil the water. Add the dye, vinegar and salt. 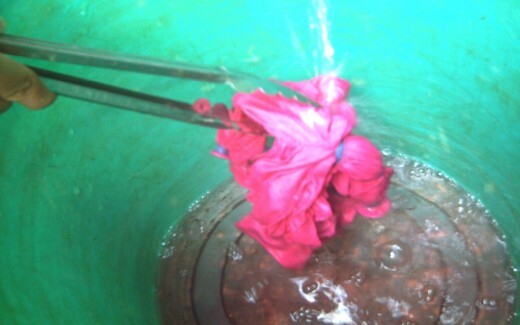 Submerge the shirt for 5 minutes then rinse in cold running water. Drench under the sun, then iron when almost dry. Why add salt and vinegar? It will serve as binder for the dye to be retained on the shirt. The ironing process will seal it more. If you find putting coins and tying it with rubber bands on T-shirt, then, you can try designs , like spiral and other intricate ones. I've seen T-shirts with three spirals or sun-like features. The attraction of the buyers to a round-like designs signify to it's selling value like a hot cake. 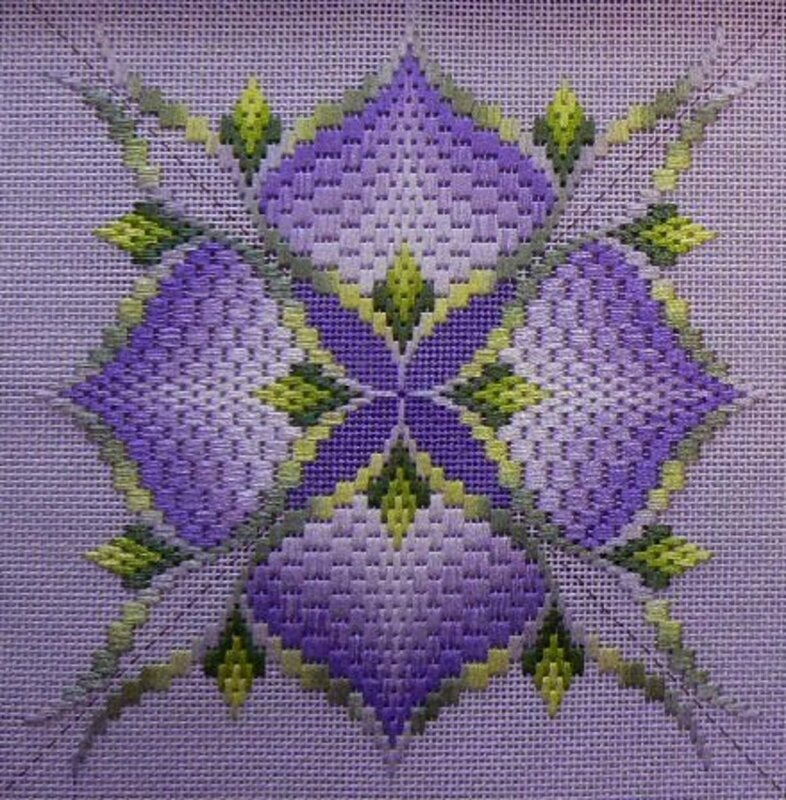 Compared to other designs, like the more formal printing on silk screen, transfer letter or hand painting, this process less tedious. You can even put a small business to test yourself if you can be an entrepreneur in the community. 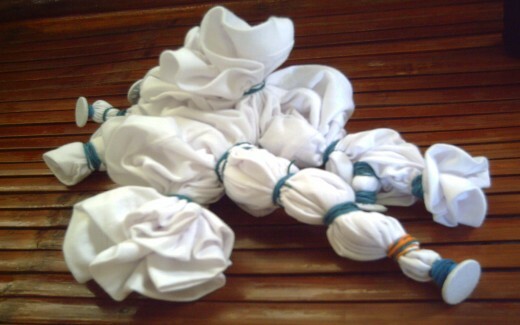 If you'll buy white T-shirts by bulk or by the dozen, you'll get a factory prize or discount. A dollar and a half per shirt is not bad at all. This will be your advantage. 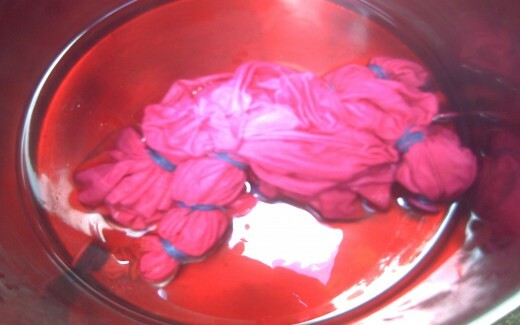 With just a piece of dye, you can dye half-dozen of shirts out from it. Then, you can sell it to your friend, let's say, for $5 dollars a piece. You got more than 200 per cent profit per shirt. Wow! With a play in your imagination and easy manual work, then, you can be a dyed T-shirts merchandiser in the city. @AmyRainbow: You're welcome. You can make you own design , too without spending big budget on how to do it. You can even make it a personalized home business if you want to. I've been wanting to make my own T-shirt design for some time now, this looks like a great technique to experiment with. @Romano Arnesto: One shirt will cost between $5 to $7 dollars. Or much cheaper than these prices. @Arian Rey: Yeah, this is a very cool DIY project. You, too can make it easily. @earthbound1974: Sure you can. It's so easy to make it. You can make a unique design you can call your own. What a beauty. I like to acquire one. How much is one shirt? Cooool!!!! I like to have one, too. Personalized shirts are awesome! Loved it! 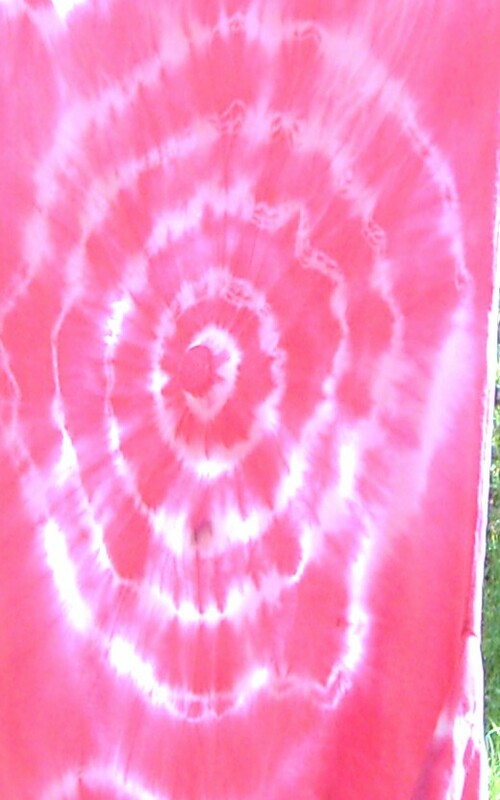 I might as well try it one of these days, creating my own dyed t-shirt. @dallas93444: Thank you for the appreciation. I just helped my niece and I said to her that I'm going to publish what we've done for her project. Good article with simple instructions. Flag up! @kerlyn: LOL! I passed on this one, because Girls Trade have all the specialization regarding cooking, dressmaking and cosmetology. For the Boys Trade, we concentrated on printing shirts, industrial electricity, woodworking and automotive.